The Offords have a long history. Several Bronze Age, Roman, Saxon and Medieval artefacts have been unearthed and one boundary follows the line of the 'Roman Way' out of Godmanchester. The two churches have stood on their existing sites for over 800 years and several older houses are from the 17th century. The Offords have always been influenced by transport and the through passage of people. The Great Ouse, for many years an important trading river, on higher land. In between the two the Great Northern Railway laid their tracks and although there is no longer a station, many use the line to commute to and from work in London. Off Graveley Road are the remains of the airfield, at which the Patherfinders played such a vital role in the Second World War. We are also but a short distance from Alconbury, which may soon have commercial aircraft flying in and out. For centuries the village has been essentially a farming community and although very few who live here still work on the land, we are surrounded by farmland and this contributes to the unique character of the villages. Many many thanks to the people of the village who spent hours researching the contents of this book. As I have said before I have lived in 'The Village' my whole life, when flicking through this book however I have found things out about the village that I had never imagined. 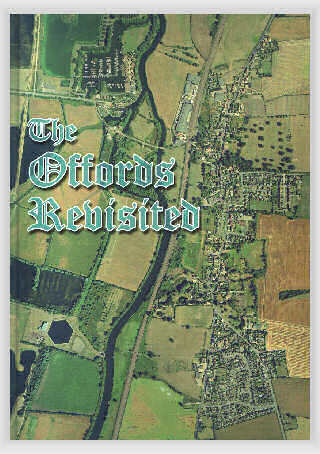 The villages of Offord Darcy and Offord Cluney are not spectacular by any means, but they have a long history of life. They have played an important part in the area and have been through many transitions. I believe that they are going through another transition currently. One that many towns and villages are going through in the UK. People are having to travel for work and there has been a loss of community, but 'The Offords' have been fighting this and are winning to bring life back into the community.